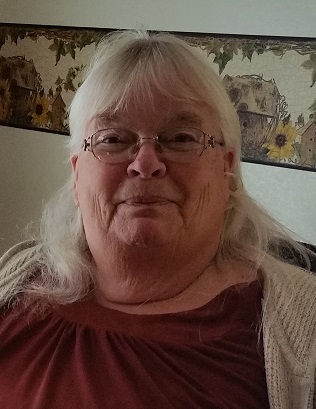 Sharon Ann Housman, 70, of Kenosha, passed away on Thursday, February 7, 2019, at Aurora St. Luke's Medical Center in Milwaukee. She was born in Eau Claire, WI on October 1, 1948, to the late Albin and Gladys (Baldwin) Robb. On October 1, 1966, in Kenosha, Sharon married the love of her life, Kenneth H. Housman. Sharon was employed at Check Cashing Corporation for 21 years. She enjoyed camping, playing games on her computer, watching dog shows and Animal Planet, and most of all, spending time with her grandsons. 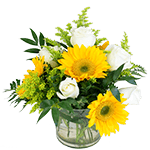 She is survived by her loving husband of 52 years, Kenneth Housman, Sr.; two children, Sherry Wallin and Kenneth Housman, Jr.; two grandsons, Byron and Brandon Wallin; one brother, LeRoy Robb; and her two dogs, Missy and Max. The memorial service will be held Tuesday, February 19, 2019, from 1:00 -2:00 pm, at Prairie Ridge Senior Campus, 3rd Floor Chapel, 9700 94th Ave., Pleasant Prairie. Arrangements entrusted to Sambrano Funeral & Cremation, Gurnee, IL. Please visit and sign the online memorial book at LauraSambranoFunerals.com; 847-571-7719.